Shreeram has been involved on wheelchair basketball since many years and he has always been associated with W.S.A., one of the oldest teams in the country. He deserves a lot of credit because with him, W.S.A. female team won the first two editions of the Turkish Airlines ENGAGE Empowering League. 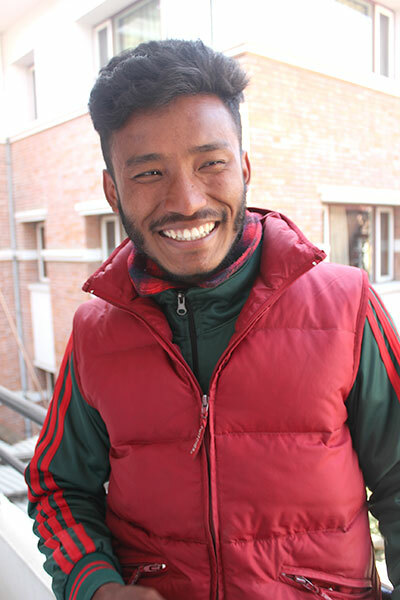 Shreeram has already completed his bachelor studies in literature and journalism, achieved a master degree in literature but if this were not enough, he is currently study law and he wants to become a lawyer. On the top of everything, Shreeram is also working part time as accountant/administrator in a local mountain bike academy. He shares "ENGAGE has played a vital role to promote disable people through different programs. It has been a great influence in many people, especially in us, the ENGAGE Sport Coaches". We love Shreeram's professionalism and commitment, with high degree of personal accountability and this matters a lot. 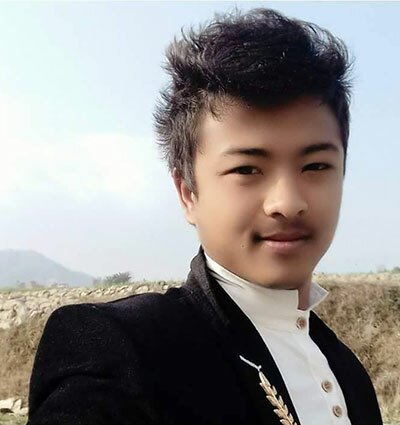 Only 18 years old, Isham recently completed high school in Banepa in the Kavre District. Together with his buddy Srijan, Ishan has been doing an amazing work to bring his team to a new level and we saw big improvements in the second edition of the League. Despite his young age, Ishan has been always accountable and he embraced wheelchair basketball coaching enthusiastically. In addition to coach his team, Ishan recently started helping ENGAGE in carrying out a study on wheelchair basketball coaching and license system. The study will help bring to a new level our coaching program. Ishan is very passionate about ITC and he sees himself as a future programmer. We bet he will be really a great programmer and he will work very hard to ensure S.IR.C. Team will become more and more competitive. Sajja is one of the newest ESCs and she joined four months ago. She is not only one of the newest but also one of the youngest and she is really doing an awesome job with J.W.S.C. She proved herself very accountable and sensitive too and very committed. She coaches with his peers Avi and Diya and immediately she bonded with all the team members. Sajja recently completed her high school with a specialization on science. In a very short span of time, Sajja has become very passionate about disabilities and she is now preparing herself to pursue bachelor level studies in Health Education. Sajja also helped a lot ENGAGE during the awareness programs of the League and she showed leadership skills and a big commitment towards the cause. She shares about ENGAGE: "I am really thankful to ENGAGE. It has been giving a huge platform and I am learning new experiences thanks to coaching". Diya often called Super Diya is a very talented young girl, also very young at only 18 year old. She got interested in ENGAGE when last year she had come to watch one of the League's game with our friend Daphne, a VSO volunteer. From then onwards, Diya was always ready to help ENGAGE and in addition to her coaching with Avi and Sajja, Diya has helped ENGAGE in the communication part, taking care of the social media. Diya is a funny, super dynamic lady and she dreams of joining politics one day and maybe become someone big so she can help changing the Nation... quite a goal! Diya shares of ENGAGE "I have been "engaged" with wheelchair basketball since one year. I love the way wheelchair basketball players cooperate with each other and I feel very comfortable around them. I would like to thank ENGAGE for giving me and the other ENGAGE Sport Coaches a life time opportunity". Avi is also one of the youngest ESC and he recently completed his high school and he joined ENGAGE very recently but he already made the difference, contributing greatly to have the team reaching a new level. He also coach J.W.S.C male team in their victory in the Pokhara Tournment held in April 2017. With him and the colleague coaches Sajja and Diya, the team did also extremely well in the second edition of the League with the male team coming very close to be the champion while the female team won a very respectable 3rd place. Avi is currently doing an internship with ITC focused organization, working to create new solutions to raise the quality of education in Nepal. He shares "I absolutely love the game of basketball and I am driven to empower my society and help people in need. Since I am able to achieve doing these two things, I adore wheelchair basketball and my team". Sweta is a very mature and sensitive bachelor level student. 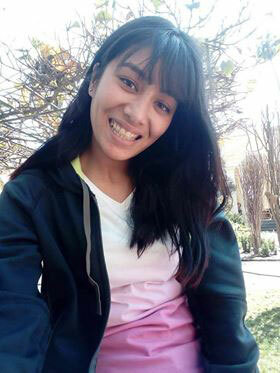 She is currently studying 3rd year of Bachelor in Social Work Studies. Like all other ESCs, Sweta is also a good basketball player and she is pushing herself to evolve and be a better basketball player too with her college team. In addition of being a Coach and student, Sweta is also busy working as personal assistant to a local business woman. 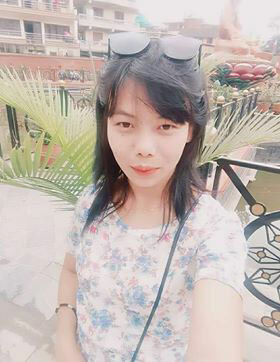 So a very busy life for Sweta but she is doing very well, jostling around all her commitments and we are very happy with her. She shares: "Why am I passionate towards wheelchair basketball? It is simple because I love the ball and it is a really an honor for me to coaching my team. I believe that coaching has been a great platform to enhance my qualities as well as my passion towards basketball"
Kabita is together with Avi and Sajja one of the newest ESCs. She is 21 years old. 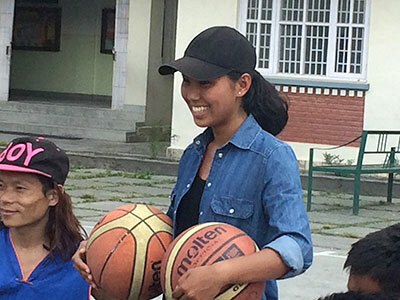 Kabita slowly grew a passion with wheelchair basketball and she started informally supporting Shreeram at W.S.A. 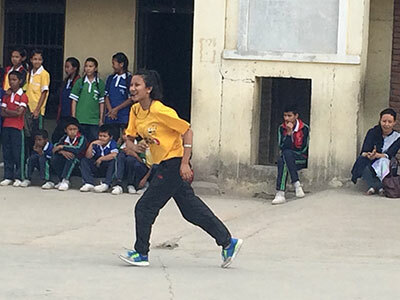 All happened because one day Kabita saw a wheelchair basketball game being played at her college. Here she counts her story: "During the college days. I saw a game of wheelchair basketball which was being played by the person with disabilities with their full of hope, energy, confident and effort similarly, some of the wheelchair basketball player brother saw me playing on the same court. From that day onwards, I was encouraged to be involved with wheelchair basketball and I was asked to be a coach of WSA. 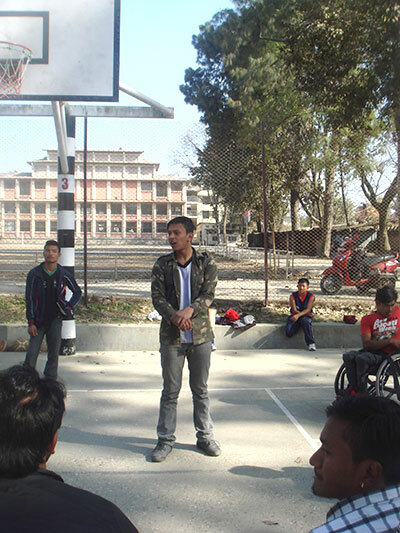 I got a chance to know about the disability and disability sports in Nepal respectively. I was totally inspired and motivated and I got a new sense of hope. I tried my best to help and support them with a huge of respect". Srijan is working hard with his buddy Ishan to bring his team to the next level and this was, to some extents, accomplished during the second edition of the League where SIRC playing was much improved. 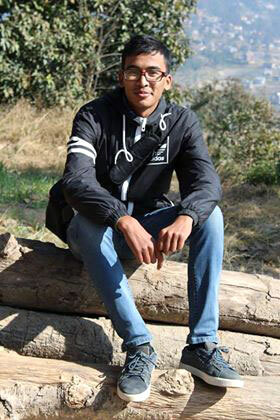 Srijan is also very young, he is just 19 years old and lives near Banepa in the Kavre District. Srijan is very passionate about agriculture and he would like to get focused on that. He shares with us "Even when you have played the game of your life, it is the feeling of teamwork that you will remember. You will forget the plays, the shots and the scores but you will never your team mates....". Great words! There is no doubt that Sandesh is a great guy, after all like all all the ESCs. 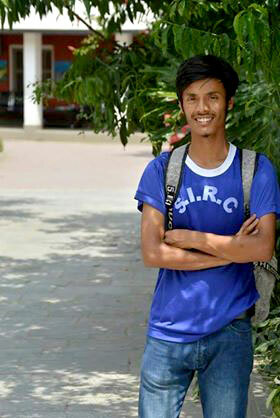 Sandesh recently completed his Bachelor Studies in Social Work and he is very passionate about service and volunteering. In addition to it, again something in common with all our ENGAGE Sport Coaches, he really loves basketball. He is not only a good player but also coaches several teams in different schools. So here we have someone who is, on the one hand, deeply passionate about basketball and sport in general and on the other hand very focused on his social work career and his professional future. Sandesh put a lot of passion with coaching N.S.C.I.S.A. and we love his smart way of doing things. Bijay simply loves one thing: SPORTS. At only 22, Bijay is not only a basketball fanatic but he is also a martial art champion with a specialization in Tekwondo with a four dan. 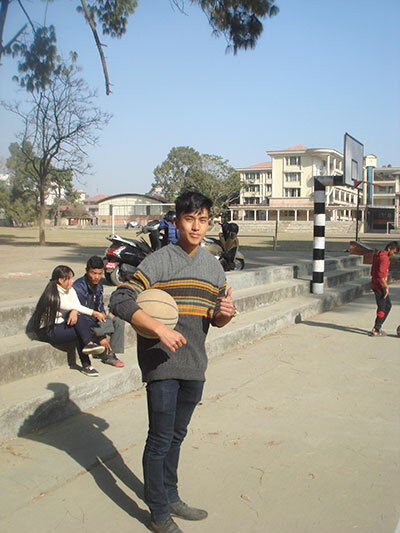 Bijay has a very busy life as basketball coach and he is currently coaching several teams, including the National Army Team. Always super punctual, precise and very professional, Bijay is doing a lot to improve B.I.A. team performance and level of the games. Bijay is simply an amazing, very generous and super professional guy. We saw this during one awareness program in the school where he studied, he was amazingly acknowledged for his big heart and super positive attitudes. Sports playing is everything to Bijay and we see a big future for him in this area. Nabin have been working very hard to set up a wheelchair basketball team in Bhakthapur, an initiative that proved quite difficult. 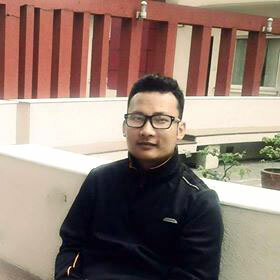 Nabin is very nice fellow, sharp and always showing curiosity and a different point of view. Reena has been working with Nabin in Bhakthapur and she proved to be very nice and sensitive girl. Reena is very focused on work in the financial/accounting service, a passion she shares with Nabin. Prabesh has been with ENGAGE for two years as ENGAGE Sport Coach. He recently completed his Bachelor in Social Work. 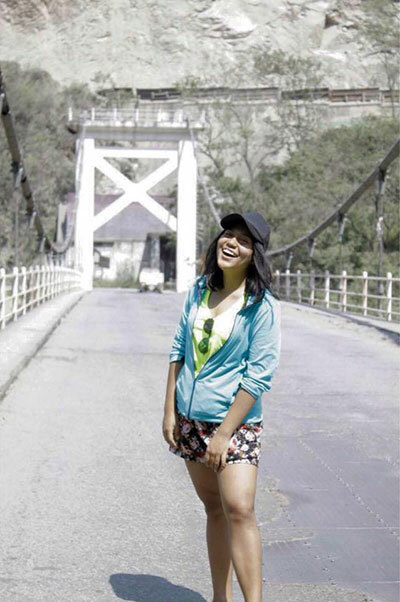 Rashmita recently joined a bachelor in Law Study and she loves basketball deeply and madly. In short span of time she literally started getting very passionate about coaching and she has been learning a lot. Rashmita sees herself fully as a lawyer but she knows she needs to study very hard. 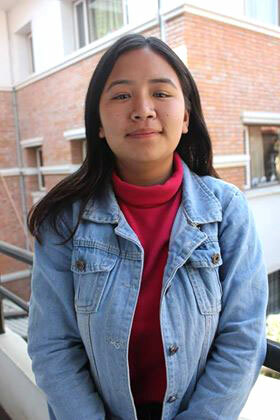 Rashmita is smart but also very resilient and tough, she knows how to deal with challenges and we love her grit. She is looking forward to learn more and more and grow with her team. 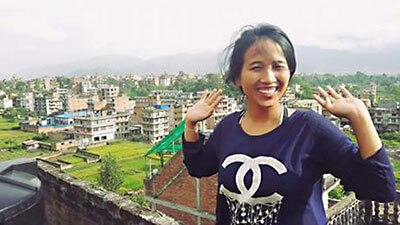 Sony was until very recently an ENGAGE Sport Coach, serving with Rashmita but recently she left Nepal to study nursing in Australia. Soni has been always very passionate about basketball and she has even playing in the National Games. She has always been very sensitive and professional and highly dedicated and we are missing her a lot. Despite being far, we still think of her as an ENGAGE Sport Coach and we know that she misses coaching too. Madan has been with ENGAGE for three years, making this the senior most ENGAGE Sport Coach. Madan left for Australia in mid September 2017 but he is still very much involved at ENGAGE, even from far. He has been first coaching B.I.A. team and then for two years J.W.S.C. Moreover Madan has been working with ENGAGE to organize the 2nd Edition of the League focusing especially on corporate sponsorship and he was of big help, really. He loves basketball and he became really passionate about wheelchair basketball, something he will continue to pursue from Down Under.